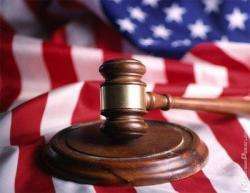 US online poker players lost all hope for a federal bill that would legalize and regulate online poker after the Reid/Kyl bill failed to even receive a hearing in either the US House or Senate. When Congress adjourned without passing an online poker bill, it became obvious that states would have to take the lead. Two states had already passed online poker regulations before 2013 started. Nevada passed a law to give the Nevada Gaming Control Board the right to create poker regulations in June 2011. Those regulations were finalized in December 2011. Nevada is also amending the existing law in the current legislative session to allow interstate gaming pacts to be negotiated by the governor as allowed by a reinterpretation of the Wire Act since the law was first passed. Delaware passed online poker regulations in June 2012. Delaware’s regulations also included online casino games and lottery tickets. Both states expect to have internet games live by the middle of 2013. Six other states have discussed online poker to some extent during their 2013 legislative session. The activity ranges from bills waiting to be introduced up to a bill that passed both houses but was conditionally vetoed by the governor. New Jersey – New Jersey has been the most active in the online gambling front. A bill that allows online poker and casino games breezed through both houses of the New Jersey legislature in December 2012. Governor Chris Christie waited until the last minute to make his decision on the bill. Governor Christie conditionally vetoed the bill. That was better news than it sounds to online poker players and potential site operators. Governor Christie approved all of the language that addressed the legalization of online poker and casino games. His concerns fell with licensing, disclosures, problem gambling funding and taxes. The changes included requiring state employees and lawmakers to disclose their involvement with the industry, increasing funding for problem gambling groups and raising the tax rate from 10% to 15%. New Jersey lawmakers are expected to approve the changes by March 18. California – California State Senator Roderick Wright introduced an online poker bill in California for the second straight year. Senate Bill 51 would legalize online poker in the state, but not online casino games. The bill would allow commercial card clubs, tribal casinos, horse racing venues and companies that process internet wagers on horse racing to offer online poker to people located within the state. A similar bill was never seriously considered in 2012. That is due to an inability for potential online poker companies to agree on terms. Many California tribal casinos feel that they should not have to pay the proposed 10% tax or put up the $30 million deposit to offer online poker to California residents. That is because under the Indian Gaming Regulatory Act, tribal casinos are not obligated to pay taxes on gaming that is also offered by commercial casinos in the same state. California tribes were reaffirmed this right when they won a referendum to offer slot machines and table games in on tribal land in 1998. Commercial card clubs do not seem willing to allow tribal casinos to offer online poker tax free. They feel this would give them an unfair disadvantage. Passage of an online poker bill in California seems unlikely until the two sides can find a compromise. One victim of this disagreement was the California Online Poker Association. The group disbanded in 2012 and took their free poker site Calshark offline permanently. Iowa – The Iowa Legislature is also trying to pass online poker for a second time. An online poker bill failed to pass the Iowa House in 2012, but was able to pass the Senate. The bill would have allowed the state’s commercial and tribal casinos to offer online poker to residents. Online casinos games would not be allowed under 2012 Senate File 2275 or this year’s Senate Study 1068. Online poker rooms would pay a tax of either 22% or 24% depending on their volume. Hawaii – Hawaii is also trying to pass online gambling regulations. Online poker and casino games would be allowed under the current proposal. This has been attempted for several years but has never made it out of committee. The attempts in Hawaii are especially interesting due to the fact the state is only one of two that has no forms of gambling. The bill would still not allow a lottery or brick and mortar gambling. Pennsylvania – Pennsylvania lawmakers have yet to introduce online poker legislation, however, Representative Tina Davis sent a letter to fellow house members announcing that she would introduce online gambling legislation during this session. The motive is that Pennsylvania needs to keep up with other state powerhouses in the US casino industry. Pennsylvania passed New Jersey to become the number two casino state in terms of gaming revenue. One interesting roadblock for Pennsylvania is that brick and mortar casinos pay a 55% tax to the state. If this tax rate was applied to online poker, it may be impossible for site operators to turn a profit. Mississippi – The Mississippi Lawful Internet Gaming Act of 2013 was introduced this year in the State’s House by Representative Bobby Moak. The bill was similar to last year’s bill that never received a hearing on the floor. The bill would have allowed the state’s casinos to offer online poker and casino games. The bill was double referred, meaning it went back to committee twice. It died on the second referral. The state process is a slow one. Many elder lawmakers are opposed to online gambling due to a lack of understanding the concept. Conservative lawmakers are especially opposed to the concept of allowing gambling within the home. There are two houses in state legislatures. One is the house and the other is the senate. While this may not always be their name, they all fall along the same concept. A bill must pass both to go to the governor’s desk. The house districts are based on the state’s population. Each member of a state’s house represents about the same number of residents. A state’s senate is based on each county or general area receiving the same representation regardless of the area’s population. This can make both sides of a state’s legislature have different opinions. One chamber is often more conservative than the other side, which can make gambling a hard sell in that chamber. A bill must pass both the house and senate in a state to make it to the governor’s desk. The governor must then sign the bill for it to become law. Some states allow special vetoes including a conditional veto where a governor can strike portions of a bill or a pocket veto where a governor can let the bill expire if it is towards the end of a session. A veto typically requires a two-thirds vote by both state chambers to override. Some states can also put gambling issues on the ballot. Brick and mortar casino issues have often been brought to a statewide vote either due to petition or a state’s constitutional requirement. Online gambling has never made a state’s ballot, but some states will require that if a constitutional amendment is required to expand gambling. There is also the issue that some states meet only once every two years. This give lawmakers less of an opportunity to pass controversial legislation as there is not often time for it, an intention of the state’s constitution that only allows biennial state assemblies. Online poker proponents will need to have a high level of patience. It has taken too long already, but it now appears that states are ready to discuss online gaming in their legislatures.